With such a beautiful sunny day as we had today it was not surprising to see lots of people at the Daylesford Sunday Market. It was also a given that people would have their dogs out walking with them, but oh my goodness I have never seen so many dogs in all my life. Now don't get me wrong I do love dogs but at some points when there were a few dogs with their owners you couldn't walk past without stepping over a dog. There were big dogs, little dogs, happy dogs, angry dogs - all sort of dogs. 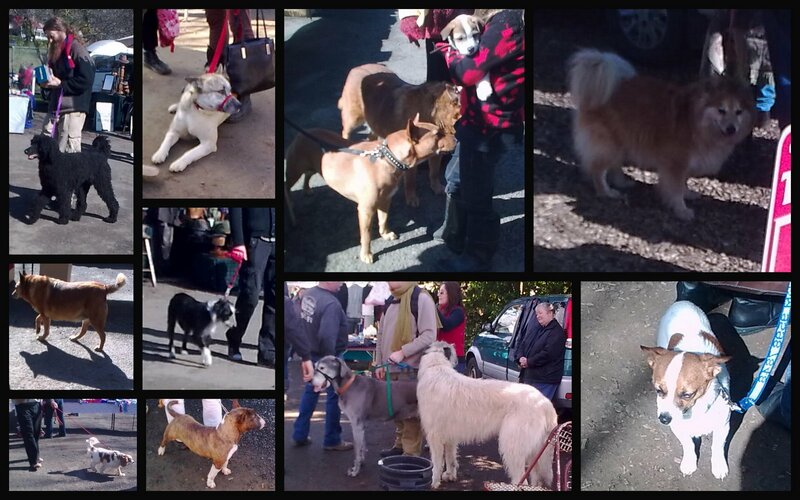 Wow, all sizes and shapes of dogs for sure! I LOVE the necklace on the right hand side of your blog, did you paint that? I hope you can see which one I'm talking about.